Shefaro Borzoi and Boer Goats | Shefaro Sighthounds | What a weekend! Shefaro Sighthounds knocked down wins in agility, lure coursing AND conformation! Click the pictures for links to the Shefaro Sighthound individual webpages. March 20-21, 2010 proved to be another great Shefaro weekend! 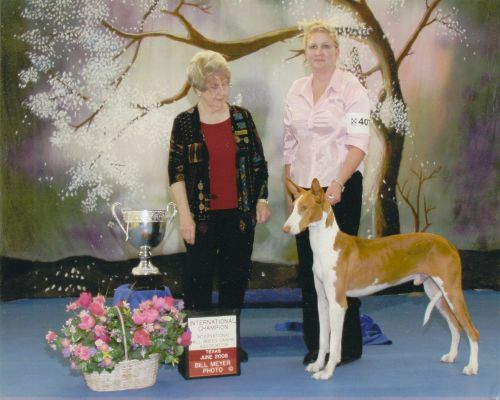 Shefaro Borzoi, Ibizan Hounds, Salukis all competing and winning in various venues March 20-21, 2010! 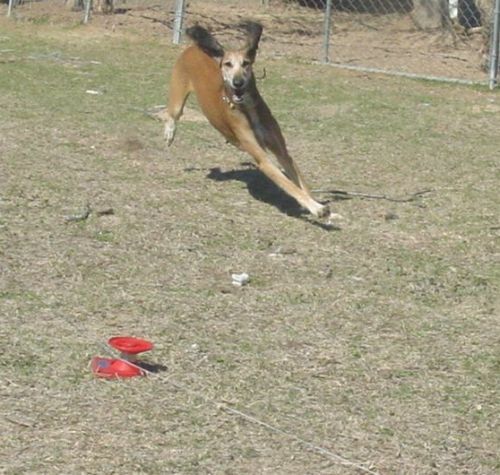 Agility is fun for Shefaro Borzoi Zoe. She's winning top honors every time she competes. Keep up the good work, Zoe and Nicole. I am proud of you! 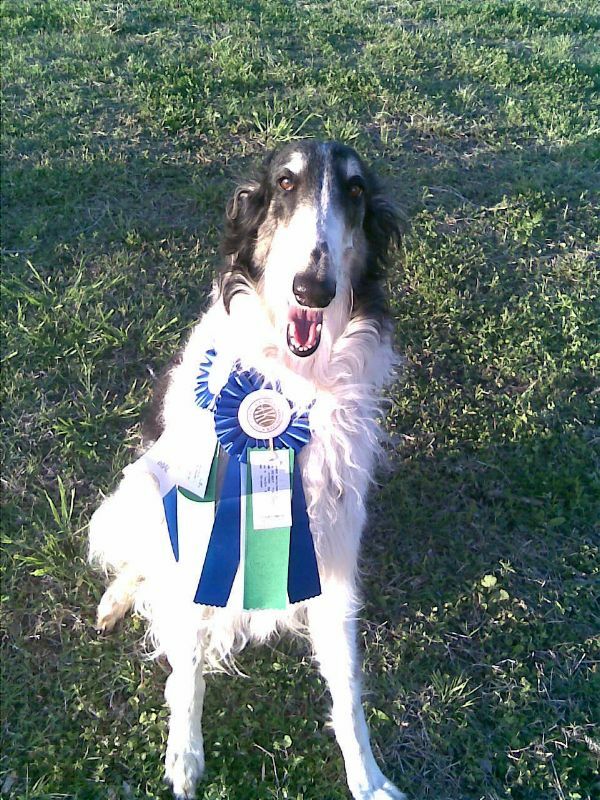 Idol and Honey Bun's sire, Caribe, is now out with a professional dog show handler and took his first five point major at the prestigious Louisville Kennel Club shows, where he won Winners Dog and Best of Winners at Beezerfest, March 21, 2010. You've come a long way baby boy! 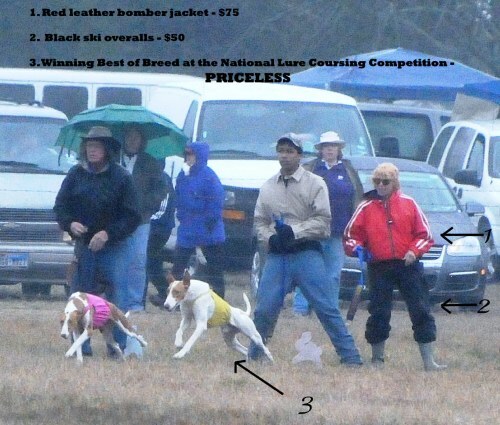 ...while Caribe was knocking down a 5-pointmajor at Beezerfest, Saluki Lauren was finishing her Junior Courser title, got her QC (qualified to run in open) and one leg of her Senior Courser title. 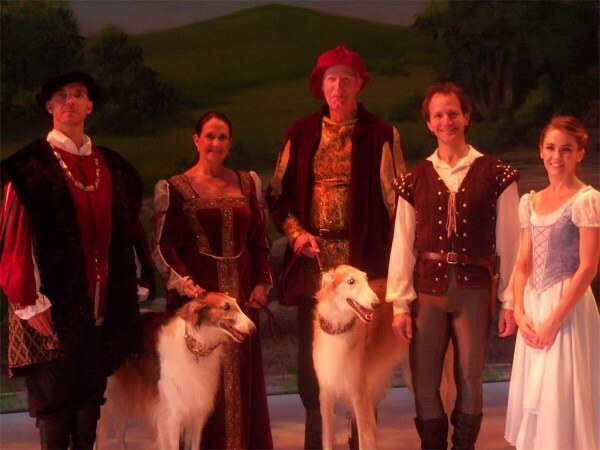 And while Shefaro Sighthounds were winning in various venues, Shefaro Borzoi Natasha was performing in the Ballet "Giselle"
PALM BEACH GARDENS, FL -- Ballet dancers are set to take the stage this weekend with four-legged friends. Giselle is a tale which begins in a Rhineland village where a girl named Giselle falls in love. The ballet is unique, with two dogs performing on stage. The dogs are Borzoi Russian long-haired dogs. Performing in the ballet will be the dogs, The Duke played by Thomas Barber, Melanie Hessee and William Wadsworth as royalty, Hillarian played by Marshall Levin and Lily Ojea as Giselle. Giselle performance by the Florida Classical Ballet, Colleen Smith is the Artistic Director. Tickets between $22.00-$32.00 and are sold 2 hours before the performances.